Actor and playwright Hugh Williams was born in East Sussex in 1904. He was a popular actor in British films of the 1930’s. He made his debut in “Charley’s Aunt” in 1930. He made “David Copperfield” in 1935 in Hollywood where he played Steerforth. He wrote plays with his wife Margaret, one of them was “The Grass Is Greener”. He died in 1969. His son is the actor Simon Williams. 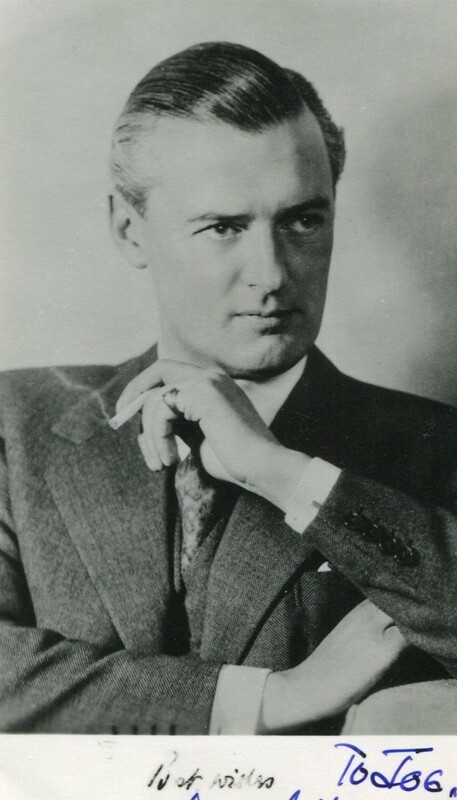 Hugh Williams was an actor who had a successful Hollywood career. Williams began his acting career with roles in such films as “Charley’s Aunt” (1930) with Charles Ruggles, “Sorrell and Son” (1933) and “Elinor Norton” (1934). He also appeared in the drama “Outcast Lady” (1934) with Constance Bennett. He continued to work steadily in film throughout the thirties and the forties, appearing in the W C Fields historical drama “David Copperfield” (1935), the drama “Wuthering Heights” (1939) with Merle Oberon and “One of Our Aircraft Is Missing” (1942). He also appeared in “Secret Mission” (1942). In the latter part of his career, he tackled roles in “An Ideal Husband” (1947), the Michael Ripper drama “The Intruder” (1955) and the Charlton Heston action film “Khartoum” (1966). Williams more recently acted in the Richard Burton dramatic adaptation “Doctor Faustus” (1968). Williams passed away in December 1969 at the age of 65.